The S.C. Department of Natural Resources is hosting a National Archery in Schools Program (NASP) 3-D Fun Shoot at Belfast Wildlife Management Area (Belfast WMA) in Laurens County on Friday, July 8. The event will feature 3-D IBO targets in the shapes of deer, bears, and other game animals for participants to practice their archery skills on. 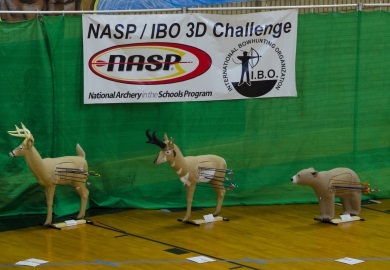 Participants are required to have attended a NASP school in order to qualify for the event. DNR will provide lunch, as well as arrows and loaner bows. The registration deadline is noon on Wednesday, July 6. There is no cost to participate, but space is limited and the DNR recommends those interested sign up soon to reserve their spots. This will be the first time the archery range has been utilized by the public. The range is located next to the Belfast Plantation house. Belfast WMA is a 4,600-acre area located between two sections of Sumter National Forest. It contains hardwood forest, pine forest, and wetlands that are home to a variety of game and non-game species. The area also houses a historic plantation home that dates back to 1786. Belfast WMA is open to the public for hunting and other recreational activities. SCDNR uses the plantation home for educational programs and group events.